In ‘The Elephant Man’, director Lee Lyford presents an almost Brechtian depiction of one of mankind’s greatest lessons: how we exclude and will always exclude those who are different to the masses. The story follows a man called John Merrick, ostracised from society and reduced to a tourist attraction in the 1800s due to his elephantiasis – a disease caused by parasitic worms that can result in the severe swelling of body parts. We journey with him as he is taken in by Doctor Frederick Treves to live in The London Royal Hospital, and we explore the impact high society has on him as the esteemed actress Mrs Kendal adopts him as her new project. The company worked impeccably well together, each bringing something unique to the piece yet blending with each other enough so that their relationships were perfectly believable. Alex Wilson delivered an engaging performance as Frederick Treves, as did Gráinne O’Mahony as Mrs Kendal. 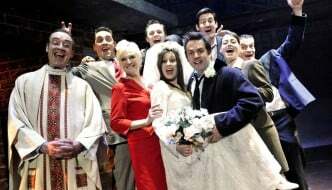 Every cast member gave a touching and memorable performance, with even the minor roles weaved together to create a dynamic tapestry. The Elephant Man himself, John Merrick, played by Jamie Beddard, was by far one of the most realistic interpretations of this character I have seen in a long while. Beddard took us through a journey of desperation, cynicism, and humour. 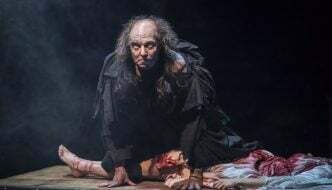 It’s still shamefully rare to see a wheelchair user representing a disabled character on stage, so to do so here was refreshing. 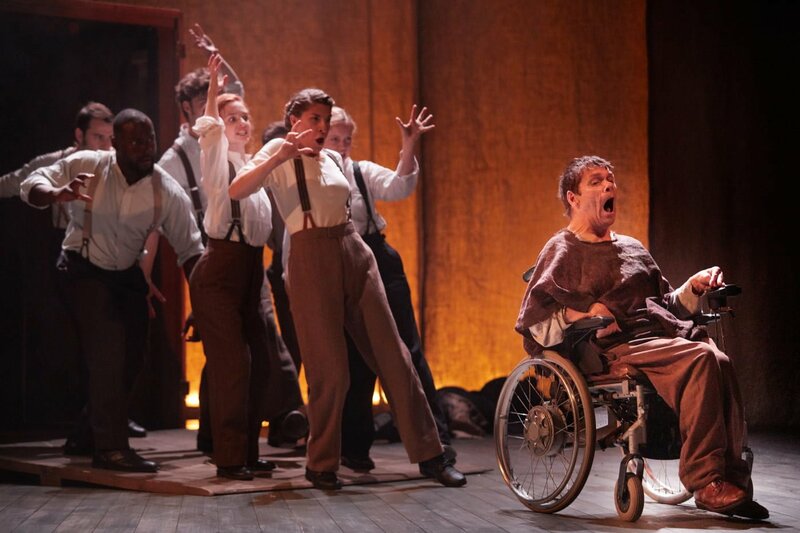 The ways in which the company transported him when he wasn’t using his wheelchair – lifting him high into the air during a brawl scene for example – created a particularly effective yet subtle brand of physical theatre that blended with the manoeuvring of scene changes. Caitlin Abbott’s set was grand, looming, and managed to engulf its audience in John Merrick’s world. It moved like clockwork, the company working in harmony as the choreography of the transitions played out before us. One of the most beautiful components of the show was the cellist, Keith Tempest, who sat to the right of the performance translating image into vibration. It was a constant sound of building and unravelling suspense. The haunting strings coupled perfectly with the mesmerising visuals. The ending was especially profound, as you would expect from a performance that delves into the morals of the human race. Are we ever really inclusive or do we only accept those we see ourselves in? Is difference accepted simply because it is viewed as art? Is anyone truly selfless in life? The company came together in a chorus of questions. I left the theatre with more queries than conclusions, but in the end, plays that make us think can make the impact that is needed. 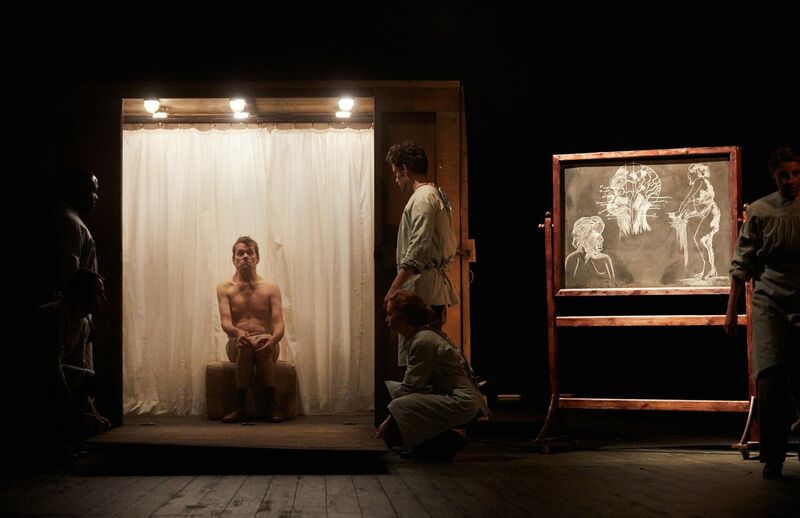 ‘The Elephant Man’ is quite simply a must-see. Supported by Diverse City and their ‘Agents of Change’, a network of people who aim to make the theatre accessible to all, this performance is hopefully one of many more to come. 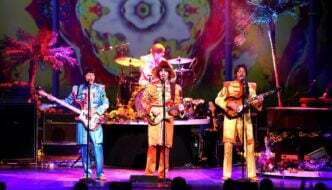 The Beatles come to Leeds Grand Theatre!